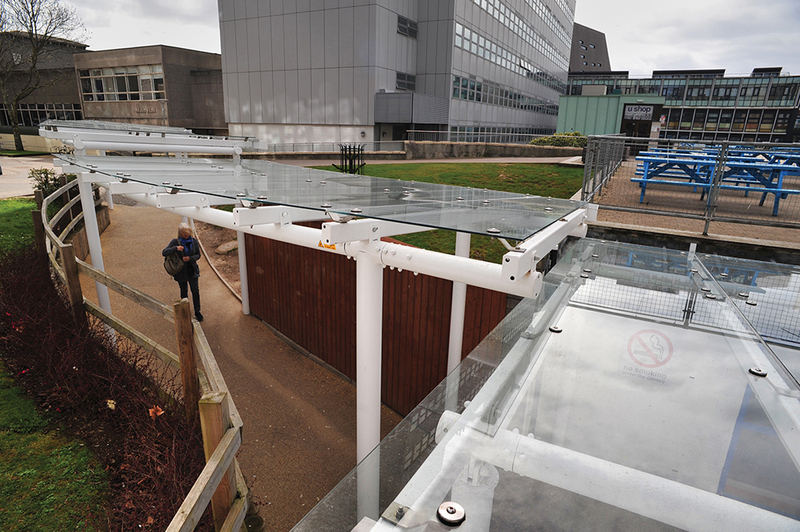 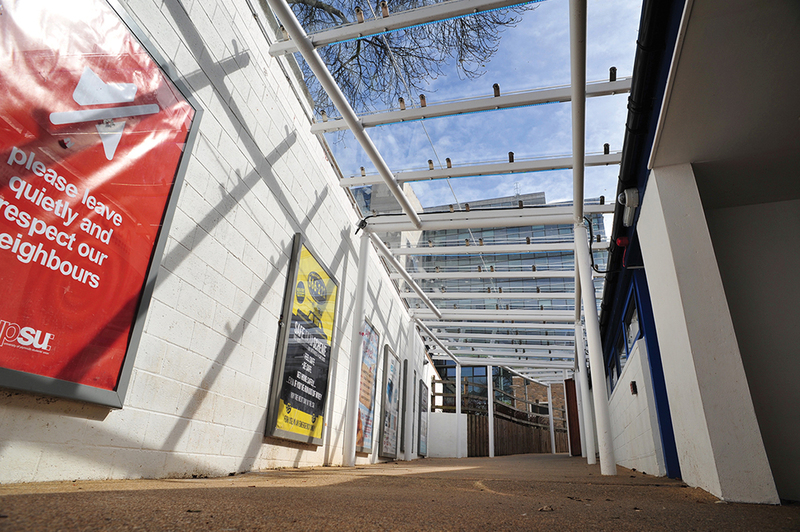 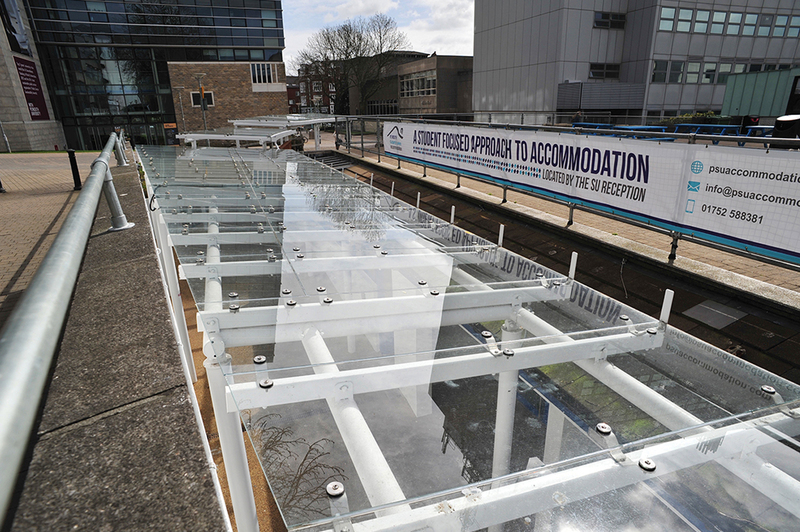 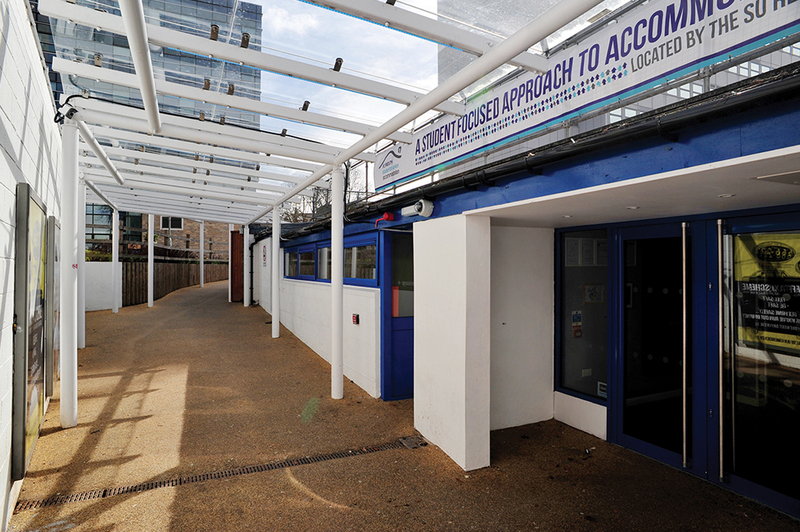 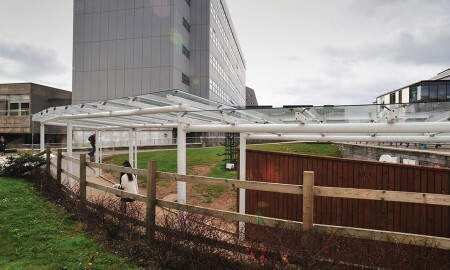 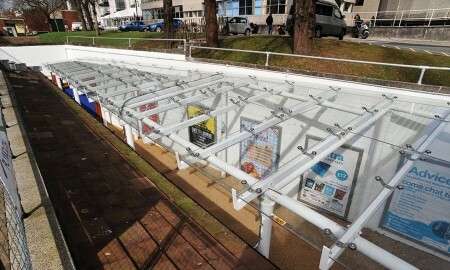 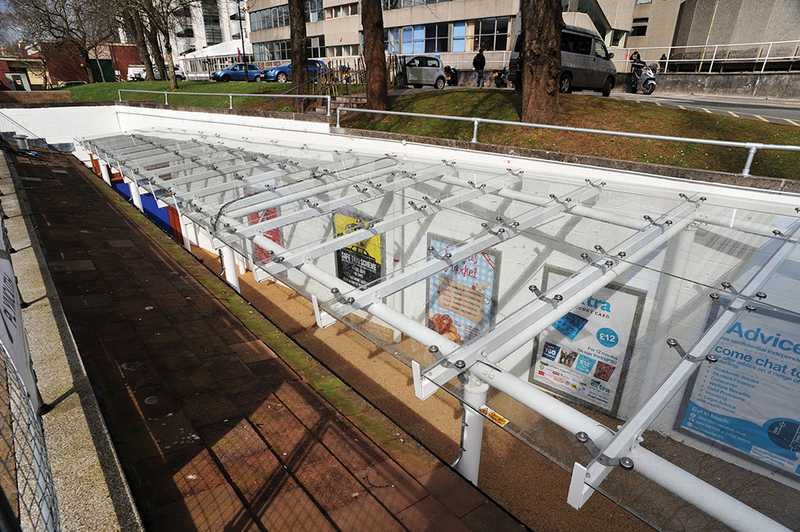 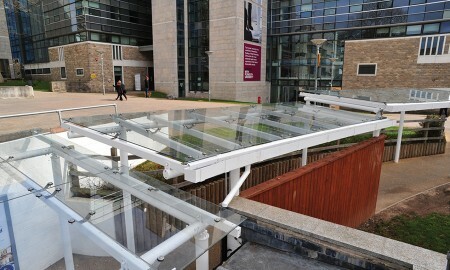 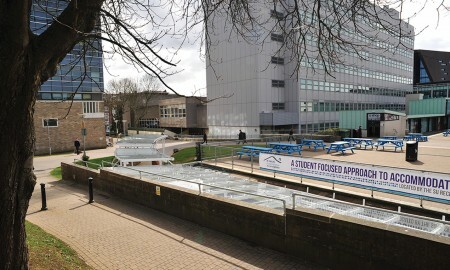 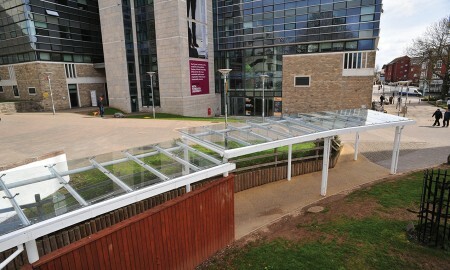 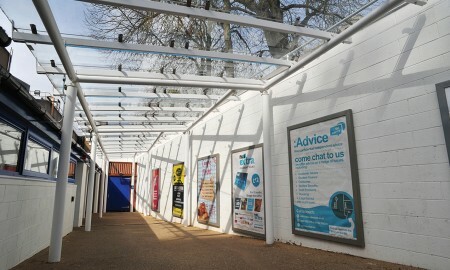 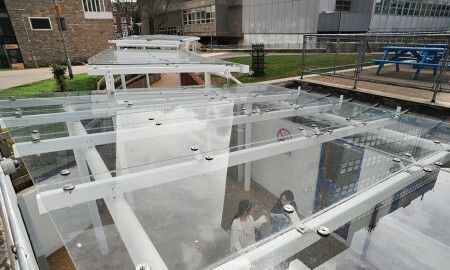 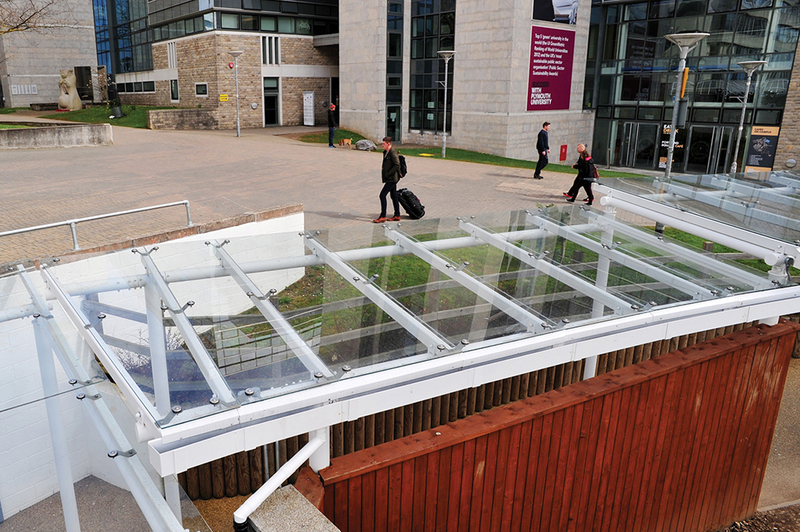 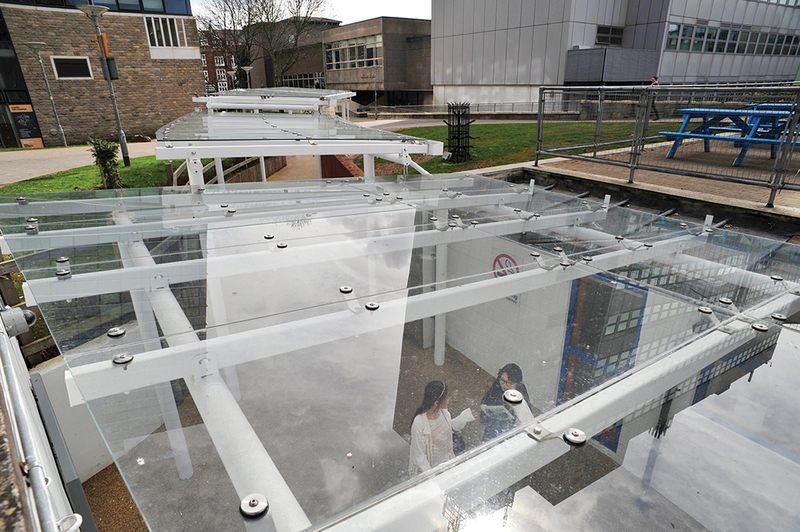 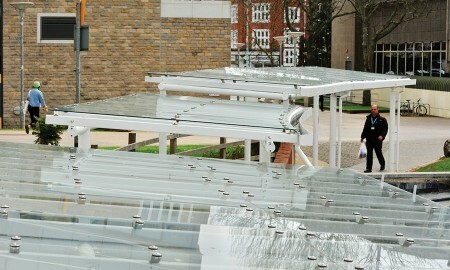 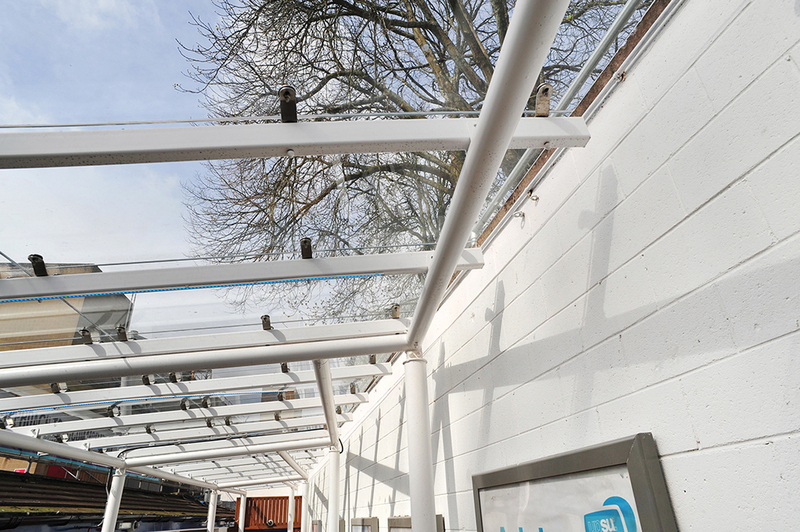 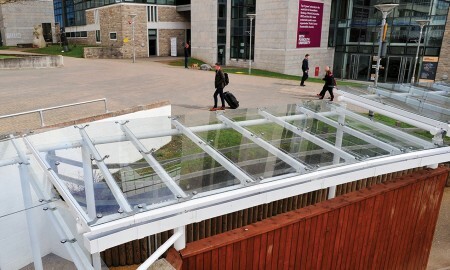 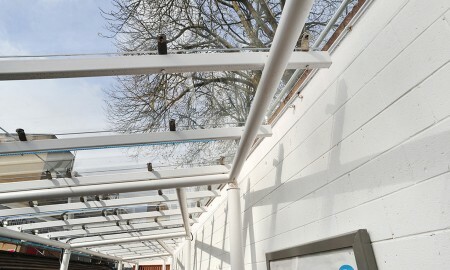 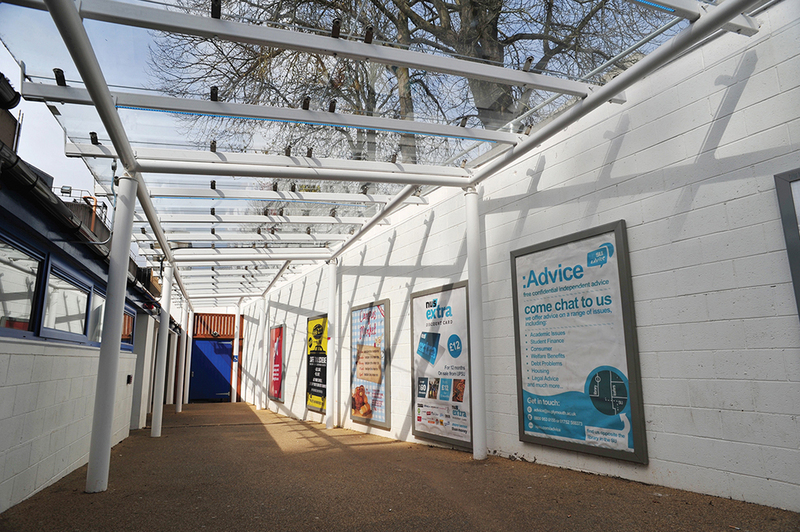 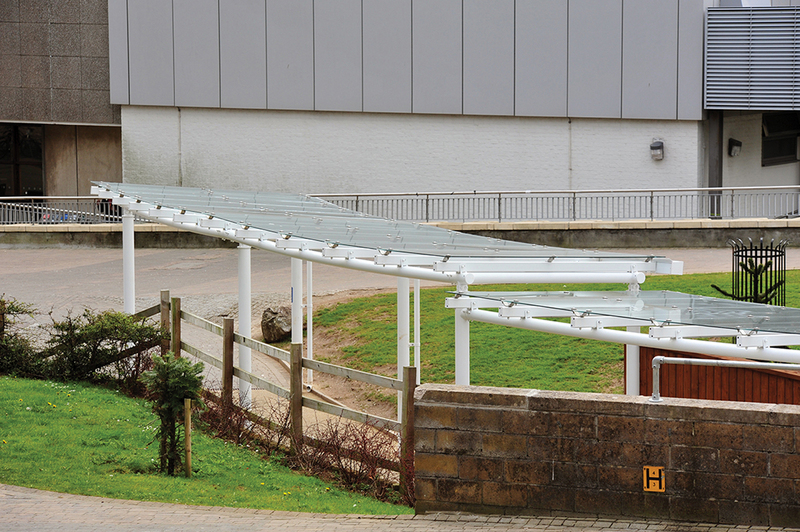 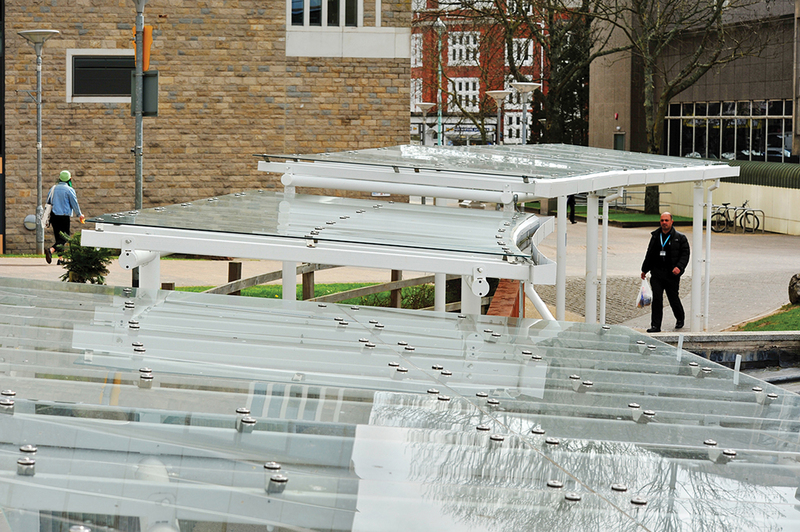 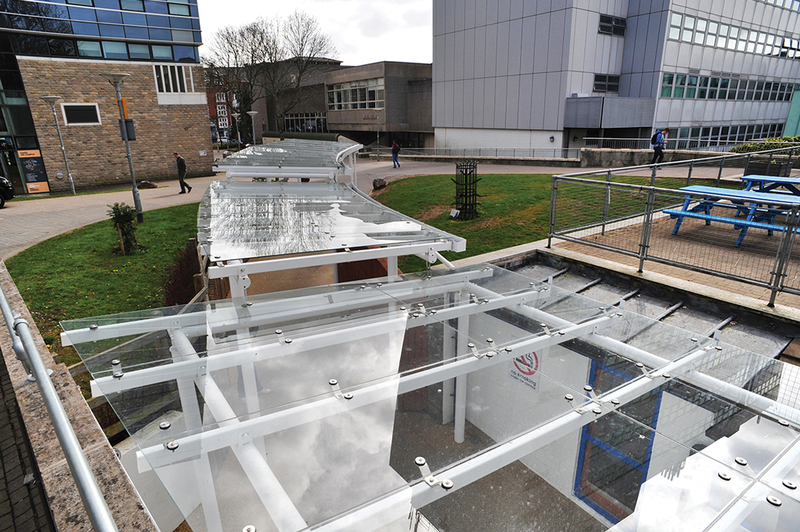 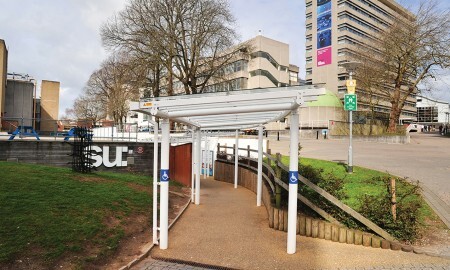 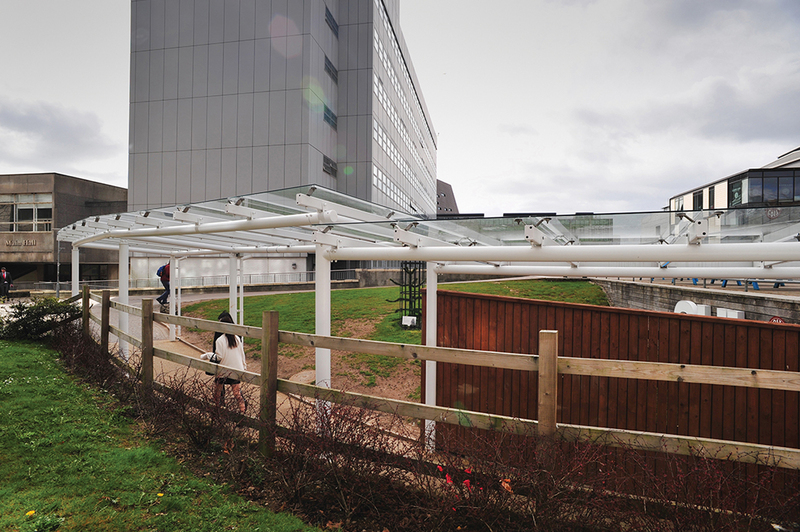 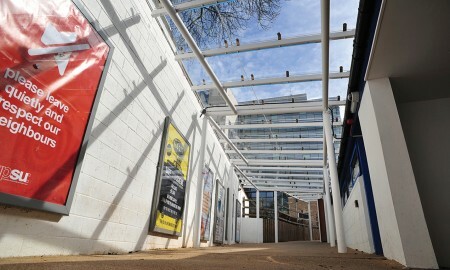 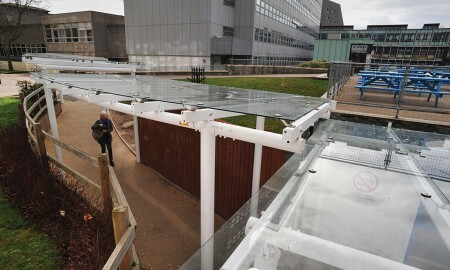 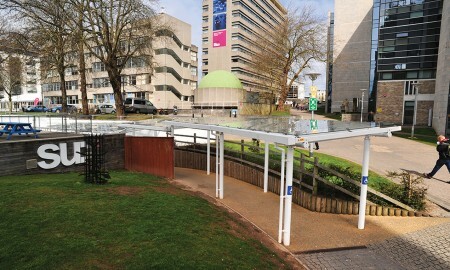 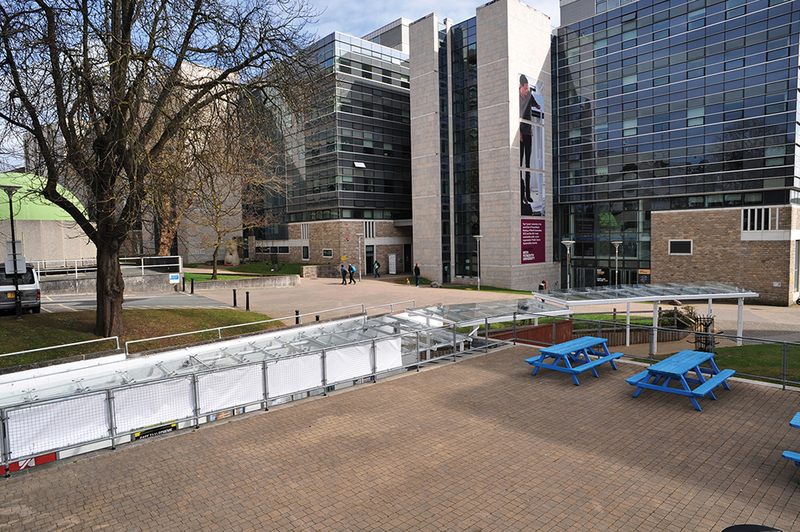 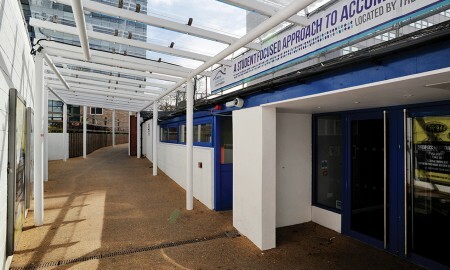 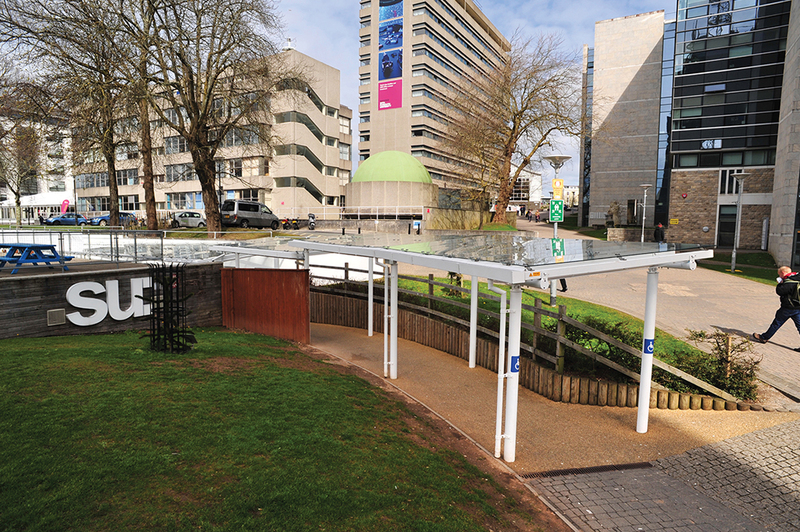 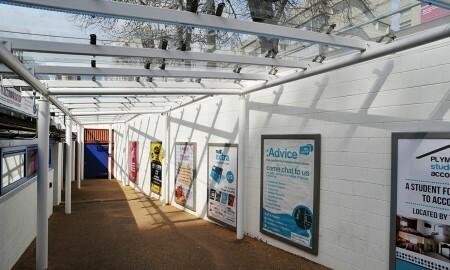 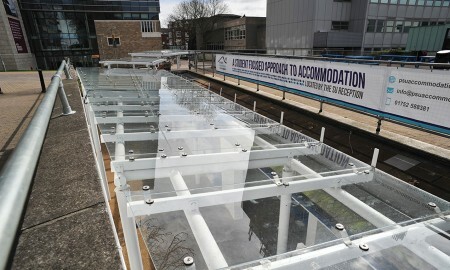 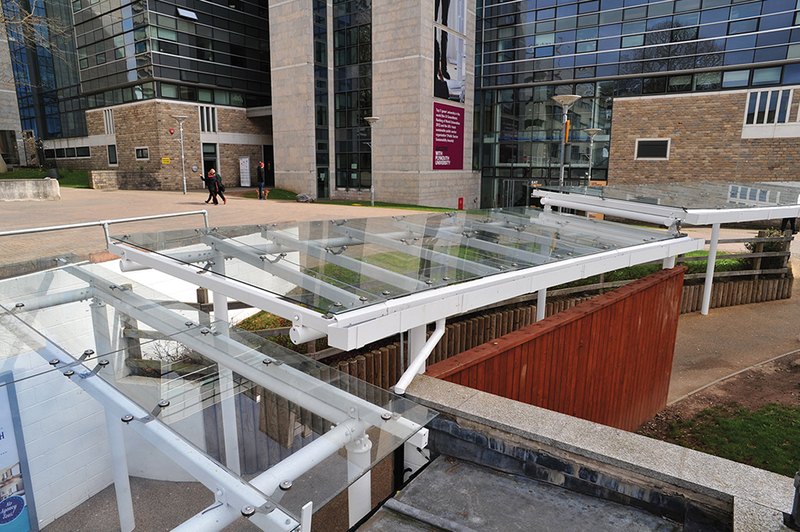 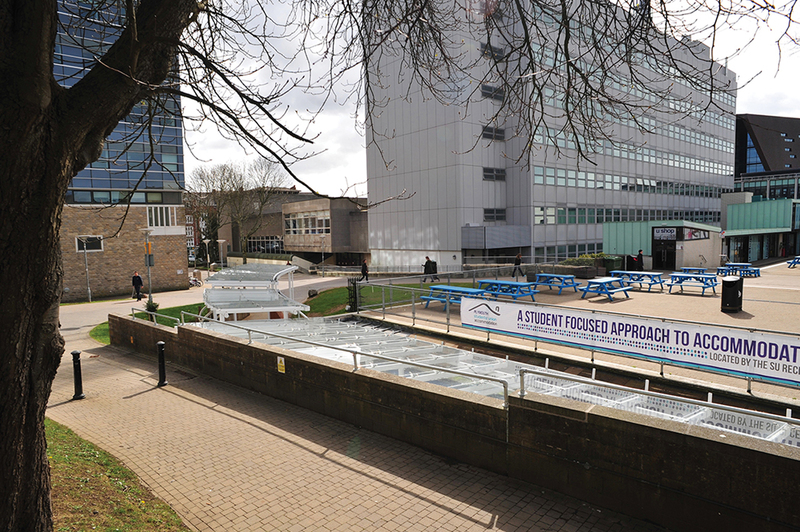 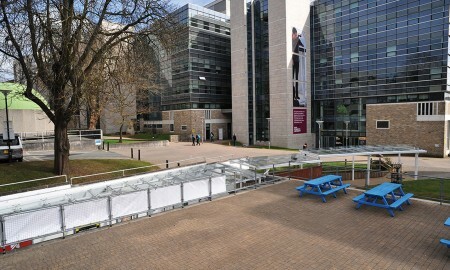 Box Construction Ltd tasked Broxap to provide a covered walkway solution a partially submerged pathway on the Plymouth University Student Union Campus. 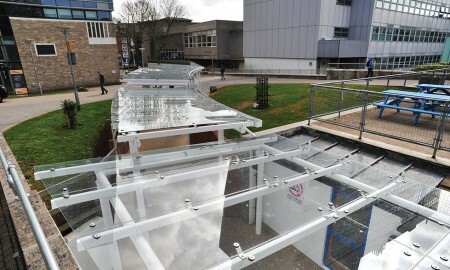 The walkway need to be situated within the confines of the existing path which held the entrance to the Student Union building within. 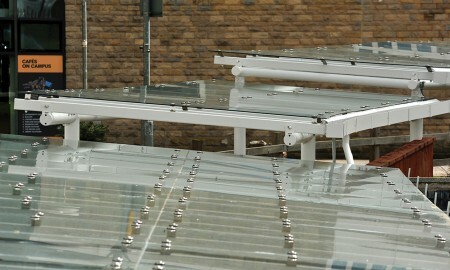 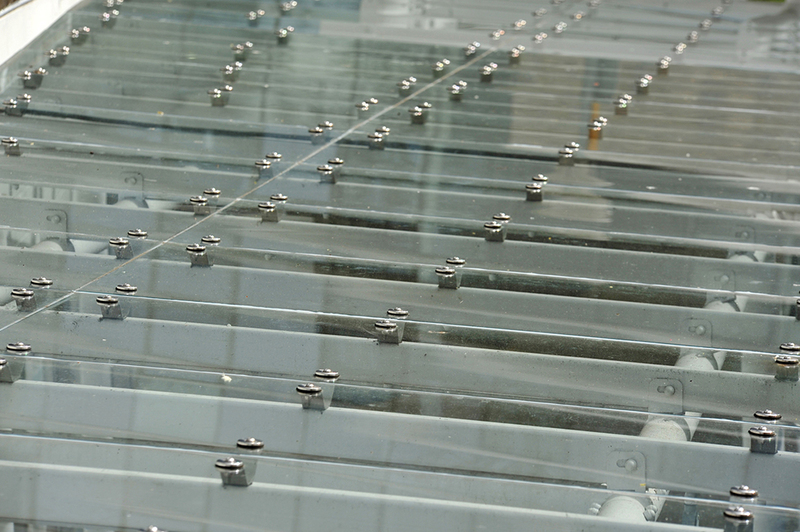 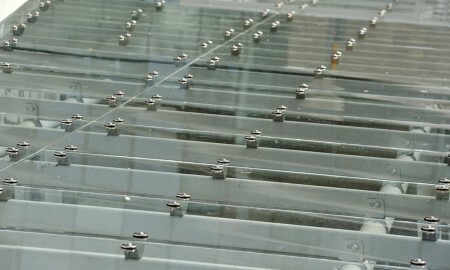 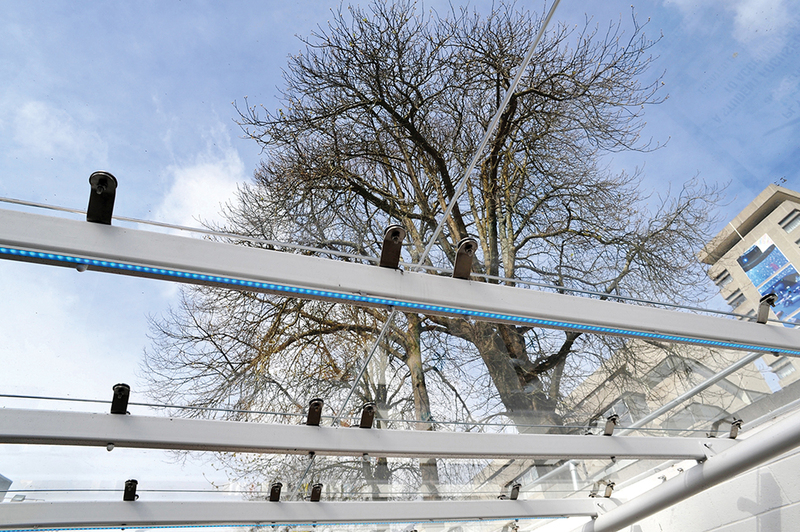 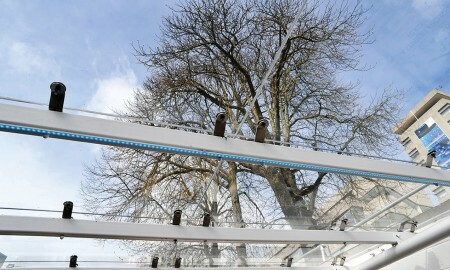 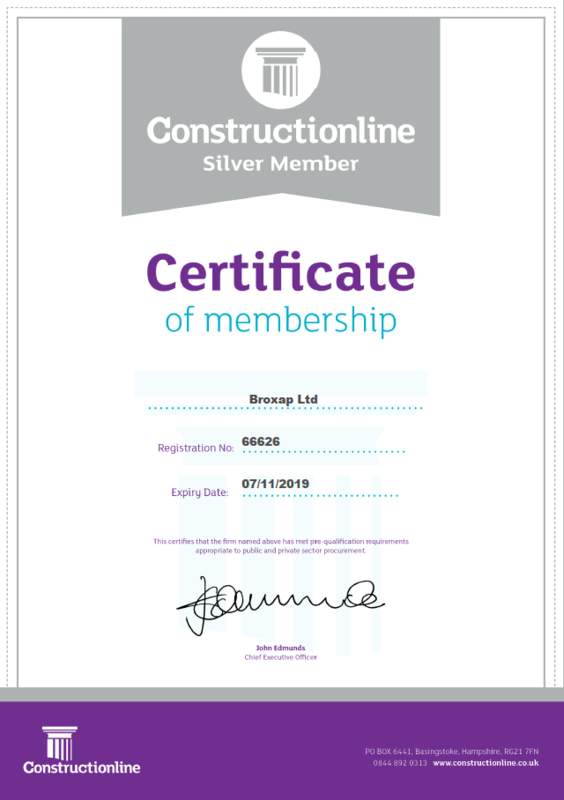 Being at a low level and partially obscured by the bankside it was important that beneath the canopy the area was still given a good supply of natural light during the daytime, Broxap utilised toughened 10mm laminated safety glass suspended in pressed 316 stainless steel spiders. 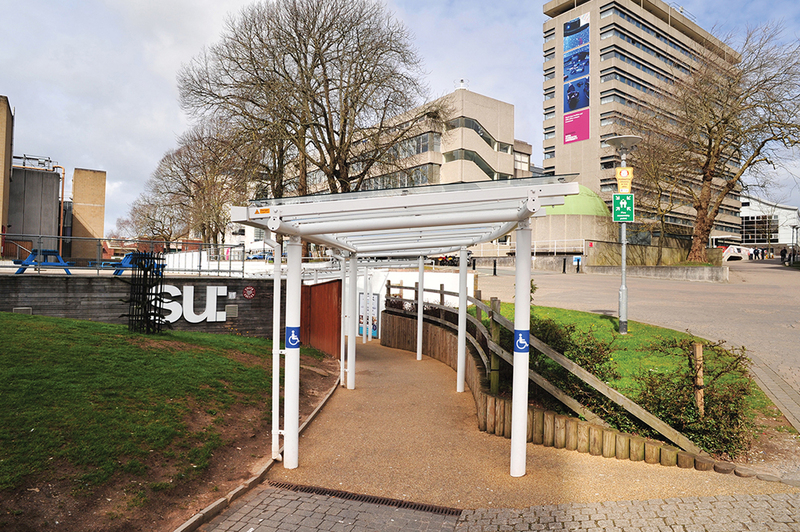 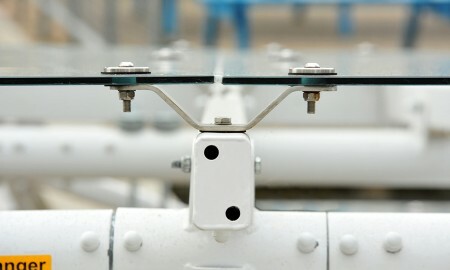 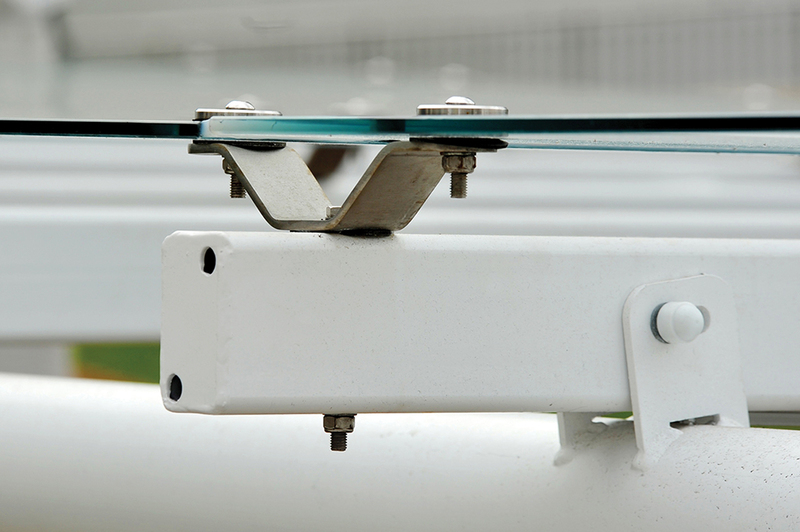 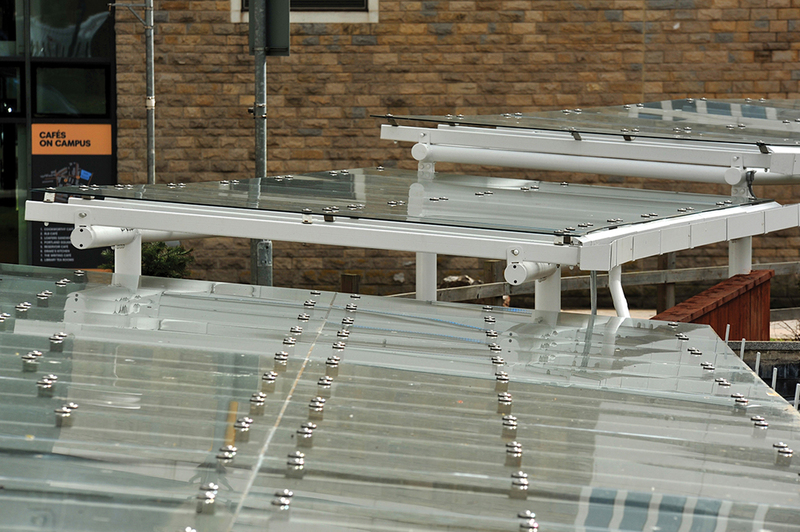 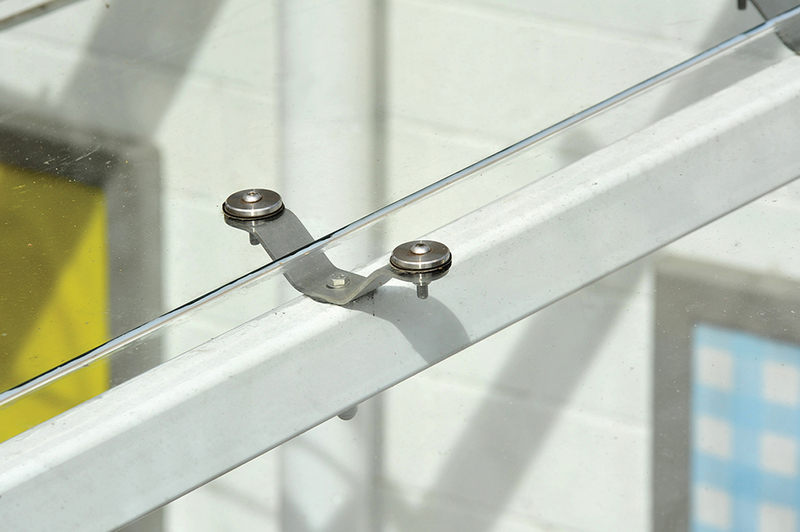 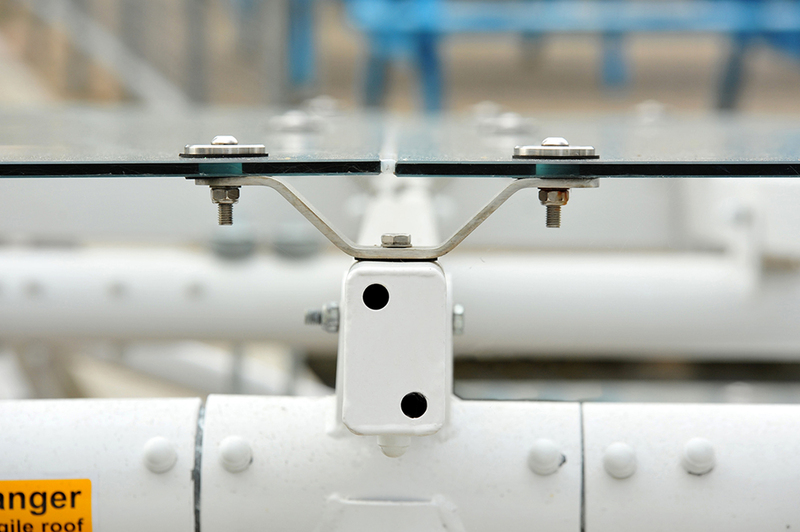 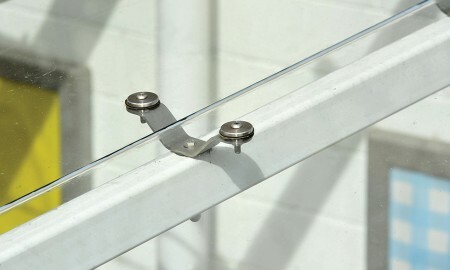 All other column and support work is of galvanized steel and polyester powder coated white to keep visibility high. 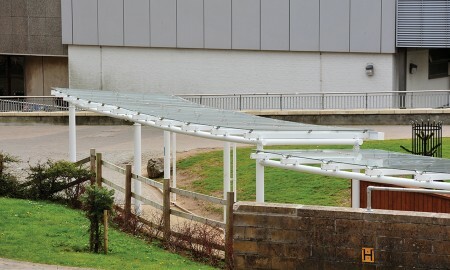 The walkway is stepped to accommodate pitches at ground level and the whole project from design idea to completed installation took 30 weeks. 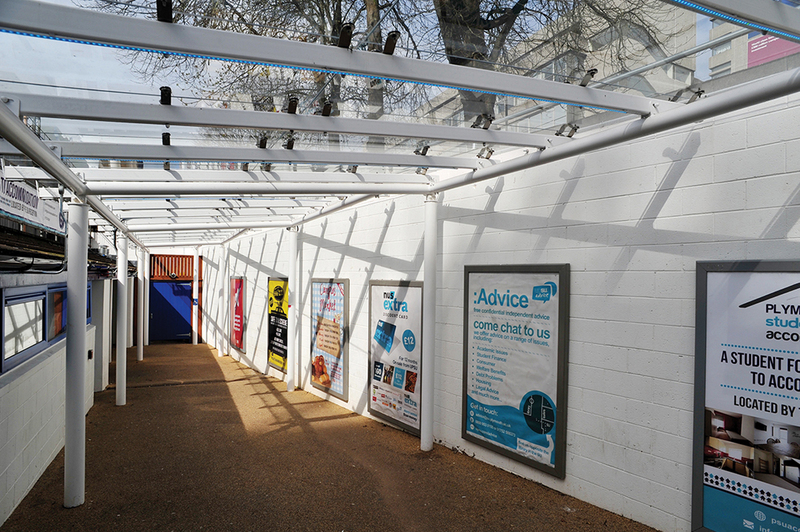 Once installed a third party added blue LED strip lighting beneath the structures roof panels to create ambient lighting at night.